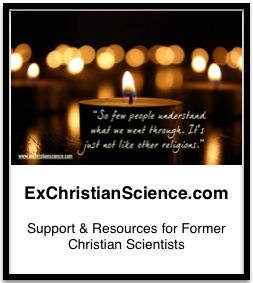 The following is a timeline of influential events in the history of Christian Science. It is by no means an exhaustive list, and is mostly provided as greater context, and starting place for further research. If you feel I have missed an important event, please leave a comment, or e-mail me! Various resources used to compile this list are listed below, and I have attempted to hyper-link when applicable. I have opted to simply call her “Mary” as I have not come across any other influential “Mary” in the CS timeline. The Mary Baker Eddy Library has a timeline which runs from 1821-1917: http://www.marybakereddylibrary.org/mary-baker-eddy/timeline which includes far more details of the early years of Ms. Eddy’s life and founding of TMC. October Mary becomes patient of Phineas Quimby. She benefited temporarily by his treatment and continues under his care until 1865. September 1892, Mary deeded a plot of land in Boston’s Back Bay to the newly formed Christian Science Board of Directors with the stipulation that a church edifice be completed within five years. Edifice for The First Church of Christ, Scientist was completed in Boston (The Mother Church). Augusta Stetson excommunicated – ambition to become Mrs. Eddy’s successor as Leader of the Christian Science movement. July Board of Directors published a statement Mrs. Eddy regarded herself as having fulfilled Bible prophecy in the July 1943 issue of the Christian Science Journal. The Destiny of The Mother Church, by Bliss Knapp controversy begins as Board of Directors sends letter pointing out false views. Instead of revising it, Knapp left a trust with approximately $100 million to revert to the Christian Science church if it ever published his work as “authorized literature”.